You knew cauliflower could stand in for rice in your favorite dishes, but did you know it also makes an incredible swap for breading? In this recipe, roasted cauliflower makes a killer gluten-free and paleo-friendly breading. It is perked up with the addition of Parmesan cheese and jalapeño peppers. 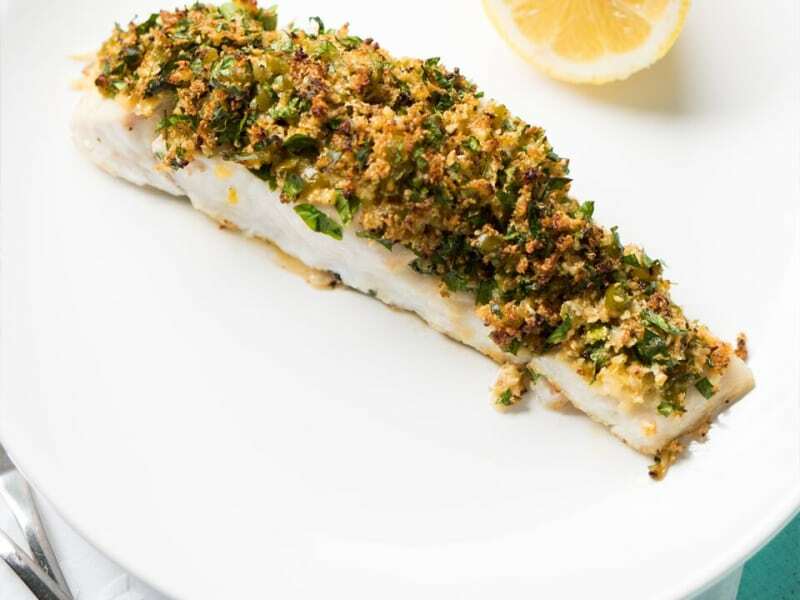 Try this with any white fish fillet for an easy and fun meal. Serve with a simple side salad to make this a healthy Mediterranean meal any day of the week! This gluten-free breading can be used with any fish, or even poultry, as long as it is baked. Given that it lacks flour, it will not hold together if fried. You can buy cauliflower rice at Trader Joe's to save a little bit of time. Sauté leftover cauliflower rice with garlic for a quick and easy side dish. Per Serving: 657 calories; 38g fat; 10.3g carbohydrates; 68g protein; 259mg cholesterol; 692mg sodium. 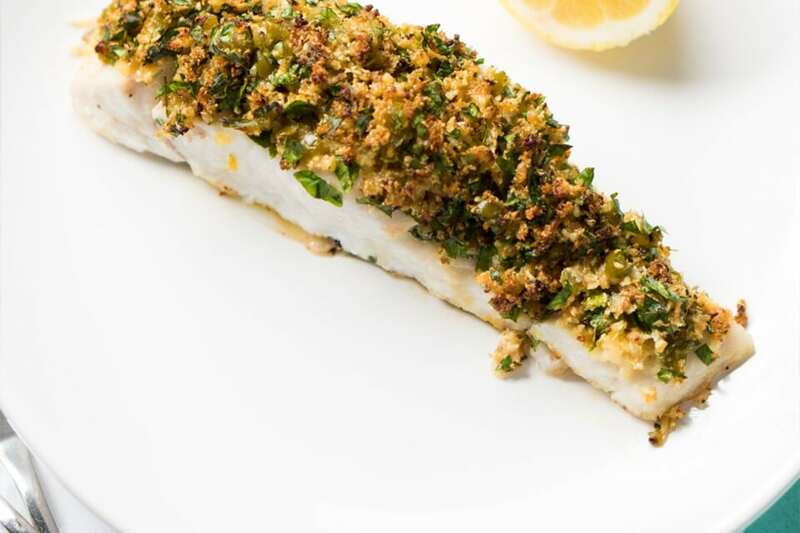 Cod fillets are easy to find, but I could see myself using this crust on halibut or even on chicken! The jalapenos give a nice bit of heat, and cauliflower is magically versatile, especially when pair with Parmesan cheese! i like this dish because it is low carb. the only thing missing is the crunchiness that you would get from breadcrumbs. otherwise the look is the same and it does taste pretty good.